Smiling Creek Elementary School is not only open for the 2018/2019 school year, but the Smiling Creek Activity Centre (located within the school) has many recreation programs available through the City of Coquitlam! 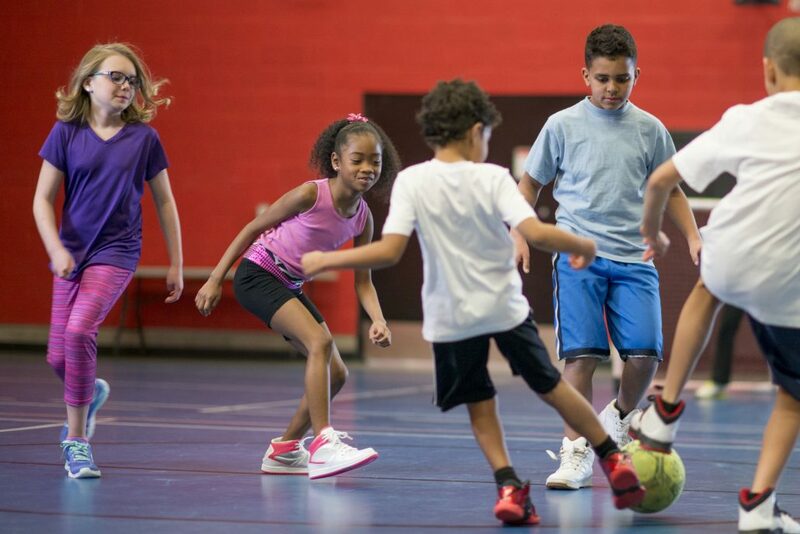 The activity centre will provide recreation programming during the evenings and weekends in the school’s gymnasium, multi-purpose room, sport courts, playgrounds and other facilities. See a full list of available programs in the City of Coquitlam’s special edition Smiling Creek Guide. Registration for programs at Smiling Creek starts Sept. 5, 2018 at 12AM for online registration, and 8:30AM for phone and in person registration. There is also a free Family Nights on Burke program – through the City of Coquitlam and the Coquitlam Public Library – that offers crafts, games and active play in the gym, and a bedtime story. 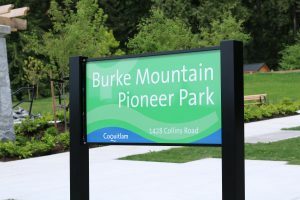 Burke Mountain Pioneer Park – Now Open! Wesbild is excited to announce that Burke Mountain Pioneer Park is now officially open! 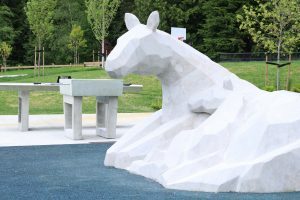 This park was built through a partnership between the City of Coquitlam and Wesbild. https://www.thefoothillsatburke.com/wp-content/uploads/2018/06/IMG_0073.jpg 4000 6000 Wesbild https://www.thefoothillsatburke.com/wp-content/uploads/2015/03/the-foothills-burke-mountain-v2.png Wesbild2018-06-01 09:48:192018-06-01 09:51:10Burke Mountain Pioneer Park - Now Open! Join Wesbild at the 18th Annual Hyde Creek Annual Salmon Festival! The Chum and Coho Salmon are returning to their spawning grounds at Hyde Creek. Come out to this Free Family Event. Wesbild will have our cookie decorating activity where you can deck out gingerbread cookies with all of the fixings. This year we are excited to have partnered with Gabi & Jules to order our cookies! Gabi & Jules is a great local business who have a mission to passionately create exceptional pies and baked goodness in a collaborative environment inclusive of individuals of all abilities. They also give a portion of their proceeds to local autism related charities: Medicare for Autism Now! & the Autism Support Network. 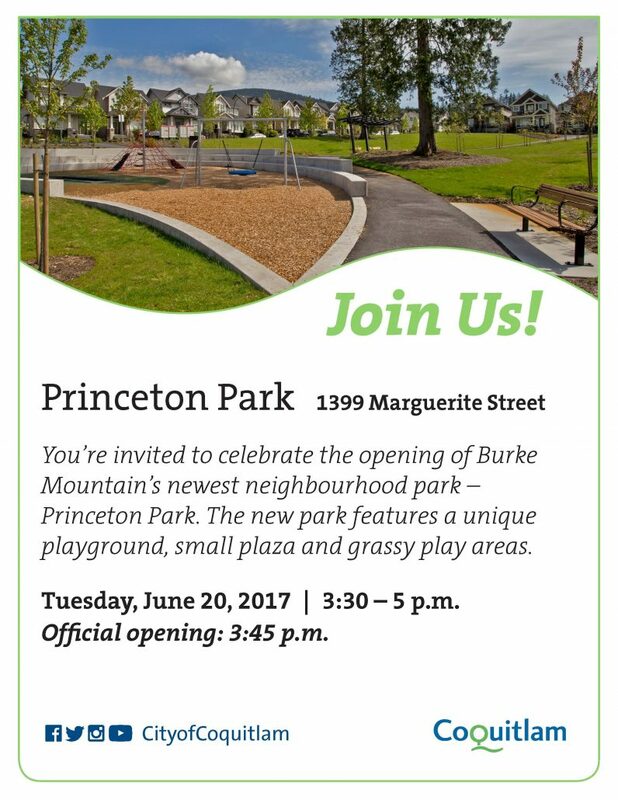 The City of Coquitlam invites you to celebrate the Grand Opening of Burke Mountain’s newest neighbourhod park – Princeton Park. Official opening ceremony at 3:45pm. The new park includes a very unique playground, grassy play areas and a small plaza. 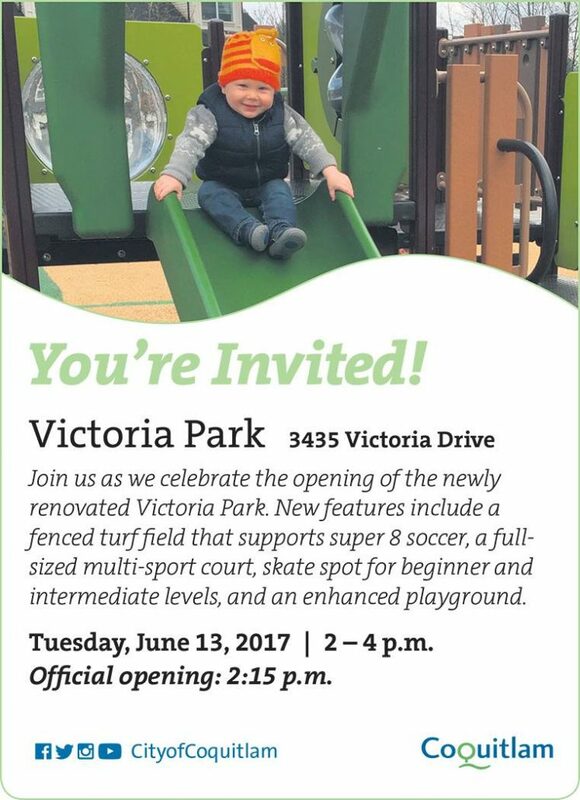 The City of Coquitlam invites you to celebrate the completion of major renovations at Victoria Park on Burke Mountain on June 13. The event will include opening speeches and a ribbon cutting, staff-led games and light refreshments. About 100 to 150 people from the neighbourhood are expected to attend. 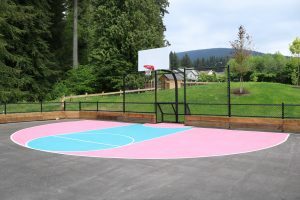 Full-sized fenced sport court for basketball, street hockey etc. The City of Coquitlam is taking the first steps in developing a vision to guide urban growth on portions of Burke Mountain outside existing neighbourhood plan areas and some of the quarry lands along Pipeline Road. This region is being referred to as the “Northwest Burke Vision” area. When the Vision is complete it will guide the planning for future housing, schools, roads and the preservation of natural areas over the next 30 years. The City of Coquitlam inviting you to drop in to a Community Information Session to share your thoughts and ideas on the Vision. Meeting 1 – Thursday, June 1, 2017 | 4 – 8 p.m.
Meeting 2 – Saturday, June 3, 2017 | 11 a.m. – 4 p.m. The Hyde Creek Watershed Society are hosting their 11th Annual Hyde Creek Spring Open House & Salmon Release this weekend! Release salmon into Hyde Creek and send the fry on their journey to the ocean. 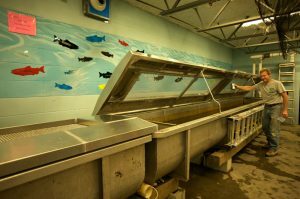 The Education Centre & Hatchery will be busy with tours, exhibits, crafts and Dr. Fish as part of the day. A fund raising hot dog BBQ courtesy of Save On Foods and coffee from Starbucks will be part of the event. Learn more about the Hyde Creek Watershed Society here. In a partnership with Wesbild, the City of Coquitlam is developing a 4.4 acre park site to be located on the 3000 block of Highland Drive, within the Upper Hyde Creek neighbourhood of Burke Mountain. 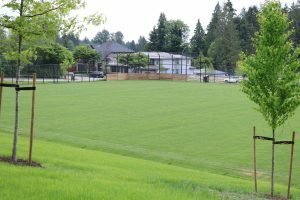 Coquitlam is now looking for community assistance in determining the new park’s name. 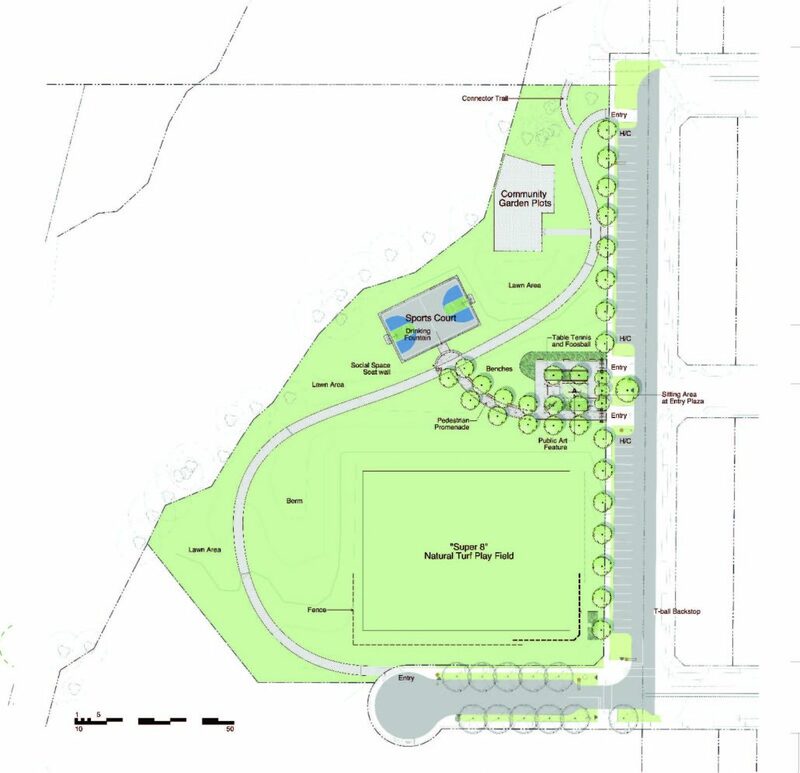 This new park is planned to include a Super 8 size Sports Field, Sports Court, permanent home for the Community Garden and open space. 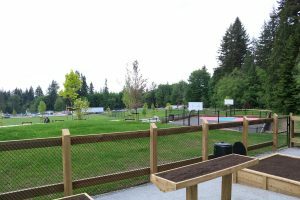 To help create this park, Wesbild donated 1.4 acres of land to the City, is paying for 50% of the park and road improvements along with managing the design and construction of the park with no cost to the City of Coquitlam. 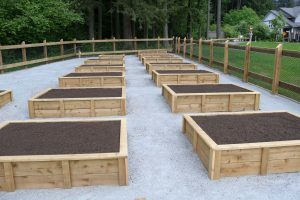 The City of Coquitlam’s aim is to select a name that celebrates the historical and environmental site significance of the property, to both the neighbourhood and the city. The park property was originally owned by the Hoigaard family, Burke Mountain pioneers that operated an equestrian academy on this former ranch site. The City of Coquitlam’s aim is to select a name that celebrates the historical and environmental site significance of the property, to both the neighbourhood and the city. Coquitlam residents have until April 13 to rank the five potential names in an opinion poll at coquitlam.ca/newpark. Updates on this and other park projects can be found on coquitlam.ca/parkprojects.